[8 mins. 15 secs.] 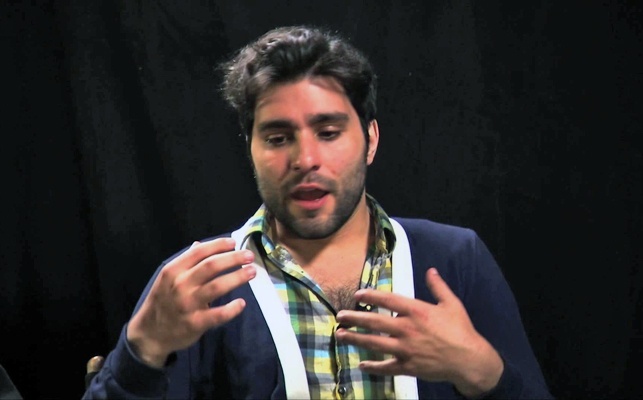 "The Kings of Summer" director Jordan Vogt-Roberts. Three teenagers (Nick Robinson, Gabriel Basso, Moises Arias) carry out a plan to leave their dysfunctional parents, build a house in the woods and live off the land. This conversation occurred during the Rooftop Films' screening of his film in the Lower East Side of Manhattan. [35 mins. 10 secs.] BAMcinématek programmer Florence Almozini on this season's BAMcinemaFest slate. [59 mins. 30 secs.] Also, Canadian filmmaker Matthew Johnson discusses his film "The Dirties" which explores how the line between reality and fiction starts to blur when two best friends begin making a movie about getting revenge on bullies.